Cloudme is proud to be involved with a startup e-commerce business based in Bahrain. 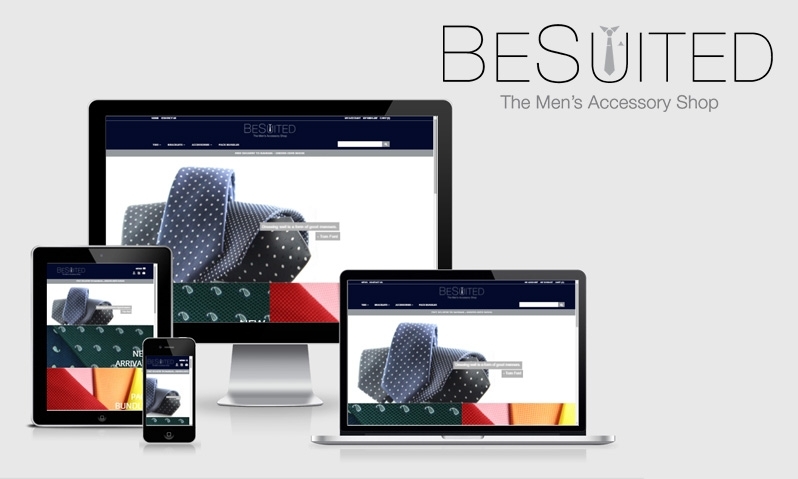 BeSuited is a men’s accessories and ties online based shop. Cloudme re-engineered the information appearing on the website and redesigned the e-shop with a focus on the brand guidelines of BeSuited. Cloudme has also extended the functionality of the website to include online payment gateway integration, that accepts credit cards and Bahraini based debit cards which offers broader and much safer online transactions through Visa Verified and Mastercard secure. Other functionality includes the introduction of gift cards as a product that can be used by multiple users and a more organized registered user profile page. The e-commerce platform used helps BeSuited have a complete control over their inventory and focus on driving up sales by engaging with their customers. Besuited a Bahrain based online shop since 2014 providing you with the only variety of Men’s Accessories in the region through a modern Online Shopping experience with direct shipping to Saudi Arabia (KSA) and United Arab Emirates (UAE). Besuited provides all the needs of the modern suit, formal attire and men’s accessories, neckties, tie bars, pocket squares and bracelets. This entry was posted in Cloudme News, E-commerce, Online Payment, Online Shopping, SEO and tagged e-commerce, e-shop, gift card, MasterCard, payment gateway, Visa.